If you’re suffering from eye allergies, contact Resident Eye Care Associates in Fair Lawn for an appointment. 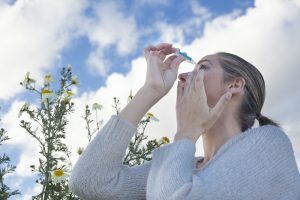 Our optometrists can help relieve the discomfort you’re feeling, so you can fully enjoy the beautiful spring season! Dr. Jack Sol Mermelstein O.D. Dr. Mary Ann Hodle O.D. Dr. Dong Hyun Kim O.D.